Education is a great value in our society, so passing on knowledge and skills to the next generation is of great importance. To make learning easier and reach as many people as possible, more and more universities, colleges, organizations and institutions start creating learning management systems and educational websites of any kind. With WordPress you can launch such educational websites with ease as there are several WordPress themes specialized in this niche. Using WordPress you can create professional and fully functional education websites in a convenient way. Primary you need a good-working education WordPress theme which manages knowledge, content, files and courses in an efficient way and brings learners and teachers together. Education WordPress themes usually offer exactly those features you’ll need to run your website smoothly. Most templates come with suitable features to display online courses, teacher profiles, lesson management or Q&A systems. Education WordPress themes usually include practical features which are crucial to launch and run websites for universities, online learning systems or other educational courses and events. Make sure your WordPress theme got everything covered and look out for compatibilities with certain popular plugins like BuddyPress, WooCommerce or others to implement community, shopping or any other functionality in the future. Here we have collected some popular WordPress education themes to create professional educational platforms / knowledge management systems. Grand College is a modern education WordPress theme for schools, universities, colleges or private educational businesses. This education WordPress theme offers all necessary features you’ll need to create professional education online presences. Grand College is SEO optimized, can be set up with several sidebars, provides six custom post types as well as built-in course tables…. My College is a premium education WordPress theme which is responsive and powerful. This template is ideal for educational websites or blogs and packed with useful features. It is easy to customize also if you are not a WordPress professional. My College is SEO optimized and follows latest trends and best practices from this field…. 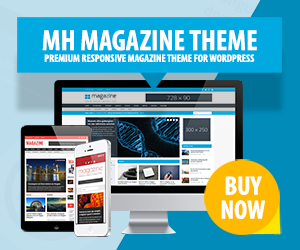 WPLMS is a professional WordPress theme for educational purposes. This learning management system makes knowledge spread easy. Instructors and students may use this template to get in touch with each other. With this e-learning WP education theme you can manage courses and create or sell online courses. WPLMS has got useful features to offer, e.g….